Metro Morning food guide Suresh Doss visits Parallel in Toronto's west end where tahini is the "soundtrack" to its Middle Eastern cuisine. It's not often that we get to experience a new neighbourhood sprout up in Toronto. But that's the case with Geary Avenue, which in my opinion, is quickly becoming one of the most dynamic streets in the city. 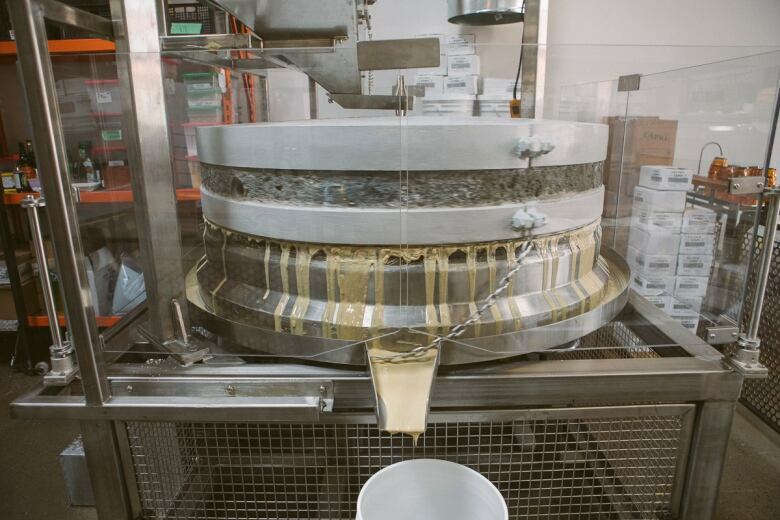 This is the land of pasta and honey. There's a burgeoning culinary scene along Geary Avenue's 1.5-kilometre stretch, nestled between Dovercourt Road and Dufferin Street. Here you can find some of the best fresh pasta in the city at Famiglia Baldassarre. The production facility features a tiny eating area with a rotating daily menu of Italian classics. If you have enjoyed a memorable plate of pasta in Toronto, chances are it came from here. Steps away, there's great coffee at Dark Horse and locally harvested honey from urban centre hives at Alvéole. My favourite Toronto brewery is also on this strip. If you love sour beers, visiting Blood Brothers' atomic-sized tasting room is a must. For more microbrews with a side of arcade games, there's The Greater Good bar. All of the above named places add to the cultivating character of Geary Avenue as it quickly morphs into a destination of comestibles while still maintaining its industrial vacuity. The newest, is Parallel. Cushioned between the industrious clangour of automotive shops, it's one of the most exciting additions to the strip. Parallel is a restaurant that functions as part café and part production facility. I first heard about it last fall when a friend informed me the Ozery brothers — Aharon, Alon and Guy of Ozery Bakery — were shifting their focus to tahini. I visited Parallel at the start of this year during a stormy, bone-chilling day. Yet it was warm inside because the Ozery brothers kept much of the industrial cavern intact, converting the two-storey, 2,500 square-foot space into a café while preserving its concrete and steel frames. 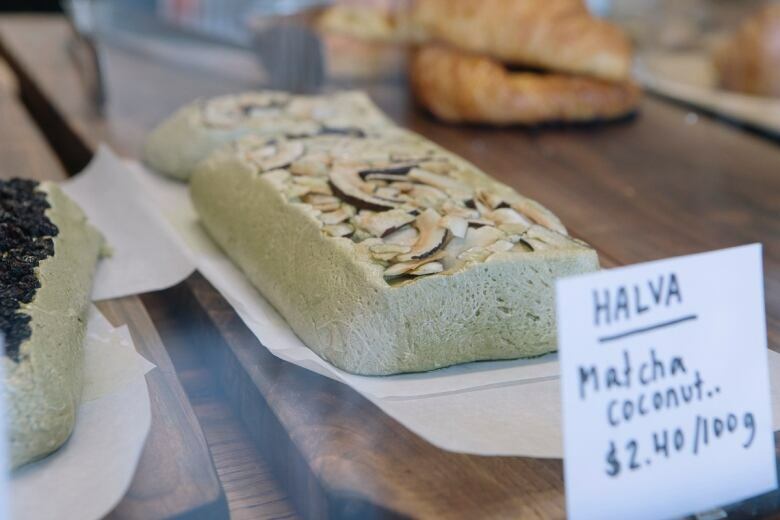 The eatery's multi-faceted operation is underlined by the sesame butter produced in house. From any seat in the restaurant, you can see a large mill stone, slowly grinding Ethiopian sesame seeds. The Ozery brothers imported two large slabs of volcanic basalt stones from Syria for the mill. The slow, thick ooze of butter dripping out from the stones is an enchanting sight. 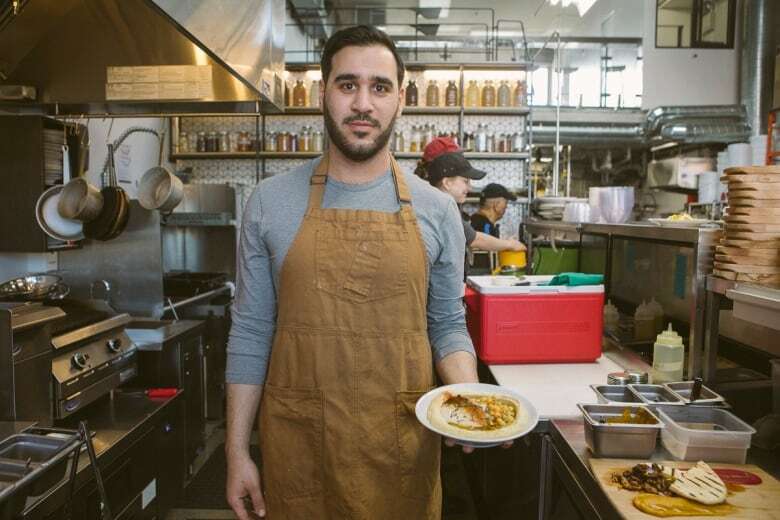 "The tahini is the soundtrack to this restaurant, we showcase it everywhere," head chef Tomer Markovitz said. Tahini is made daily, available for purchase, and also finds its way on to the café's menu in the form of smooth and dense chunks of halva. The halva is excellent, don't skip on it. Markovitz told me the Ozery brothers found him by chance, through a referral. Born in Tel Aviv, Markovitz says, "I have many different cultures in me." "My mom is Italian-Libyan, and my dad is Austrian-Hungarian," he explained. "My cooking is a result of that — a mishmash of many different cultures." Markovitz's quickly evolving menu at Parallel is something I haven't seen before in the city. It's a luring journey through areas of the Middle East, Mediterranean and North Africa — one that's constantly changing as he pulls dishes from memories of cooking with his grandmother and mother. "The best place I could learn how to cook was in Israel," said Markovitz. "You have an Iraqi neighbour, an Egyptian best friend. You have the influence from the Ashkenazi, the Sephardi Jews." One of the biggest influences on the Israeli chef's cooking style was his Libyan grandmother, whose home cooking he says inspired him to replicate it here. As a result, Markovitz's cooking is a portal through these different cultures. It's unbridled, raw and an amalgamation of styles that seem so varied at first, but all have a common spine. 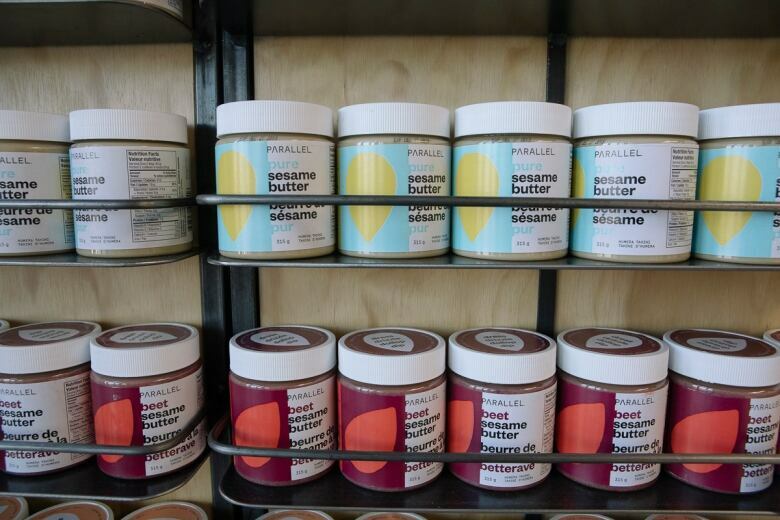 Visit Parallel with a few friends and try to order a few dishes — include the hummus and the falafel with tahini. The falafel is a bright, saturated green mixture encrusted with a dark crunchy deep-fried dome. 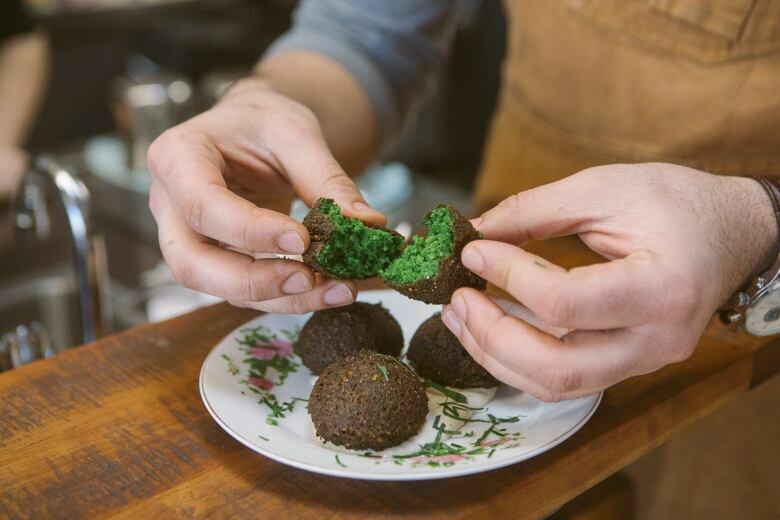 Markovitz uses a higher ratio of parsley to chickpea to create the falafel's lush colour. It's best enjoyed with a generous slathering of tahini. Markovitz has been switching between a few versions of his hummus plates, and they're all memorable in their own ways. In one version, a generous swirl of the Levantine dip is covered with a mixture of mushrooms, truffle tahini and parsley. In another, it's topped with whole chickpeas, boiled egg and a lemon garlic dressing. 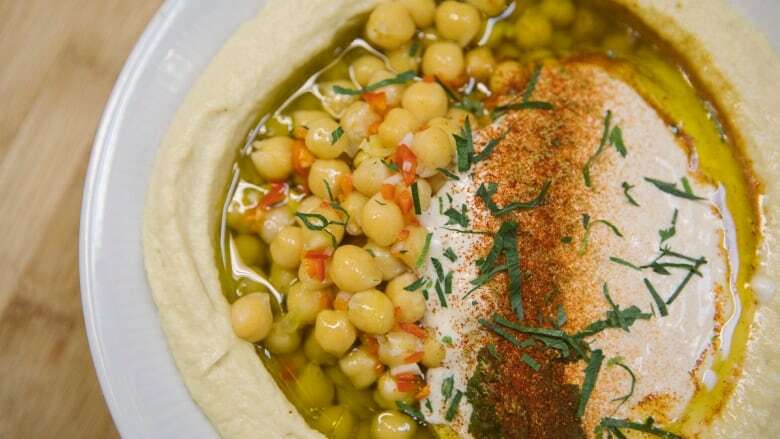 Markovitz also serves a legendary Labneh dish made with sheep's milk, topped with zaatar and garlic confit. Once you're finished with the sides, get the Jerusalem mix. This is my favourite dish that Parallel is offering right now. It's an off-menu item that I think is one of Markovitz's best. Jerusalem Mix is a late night street snack best enjoyed in the early morning hours after a long night of partying. It's a mash of griddled meat cut offs, mixed with spices, served in a pita sandwich. Markovitz has deconstructed the street dish. He tosses various cuts of chicken into a spice mix and cooks it down with onions. The "mixed grill" is served with beet tahini, carrot puree and a few slices of pita. It's an addictive mix of salt, fat, spice and sweet, all in one bite. Parallel is at 217 Geary Ave. in Toronto. Suresh Doss's weekly food segment airs every Thursday on CBC Radio's Metro Morning. Watch for video of his jaunts across the city on CBC Toronto's Facebook page.